Our Evo GT and F1 are stocked items so can be dispatched immediately anywhere in the world depending on options. 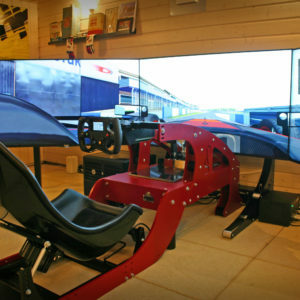 At Pro-Sim we pride ourselves on being at the forefront of motorsport simulation using a vast knowledge of premium design engineering and high quality materials to provide simulators with accuracy and precision not yet seen on the simulator market. Working with teams and drivers from a diverse range of racing backgrounds in single seater, prototype and GT categories around the globe, we have been able to use a wealth of feedback to push to the absolute limits giving our customers components, tracks and car models with the closest feel to the cars reality as possible. Immerse yourself in the accessibility of premium design engineering; it’s time for the evolution of quality and attention to detail in simulation that has established our achievement as the industry leader. Our extensive client base boasts a huge variety of driver backgrounds in GT, prototypes and single seater categories from across the globe. 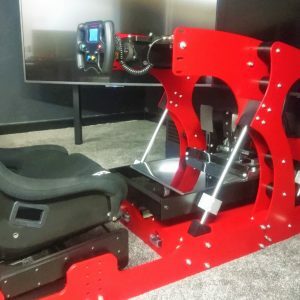 Clients use the training simulator at our head office on a daily basis and have become accustomed to expect nothing but the best which ensures we stay on top of our game in the simulator market and keeps us innovating and moving forward. 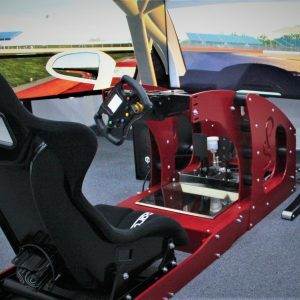 Pro-Sim Evolution Simulators are the only truly professional grade driver training tools with a compact design and affordable price tag available. 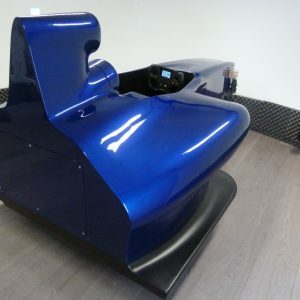 We set out to make a range of simulators that would offer the same level of quality as our main training simulator but on a smaller scale and in the most cost effective way possible.We achieved this by keeping the same steering system and an improved pedal box that remains electronically adjustable. These existing components are mounted to our specially designed frame that includes so much adjustability that practically anyone can find their perfect driving position and pedal position layout. Despite the amount of adjustability the frame remains completely rigid and there is absolutely no flex at all and still quick and easy to adjust which was the real challenge. The frame is designed and CNC machined in house using the best quality materials and finishes available to ISO 9001 standards.